Photo courtesy of Survay Says!. 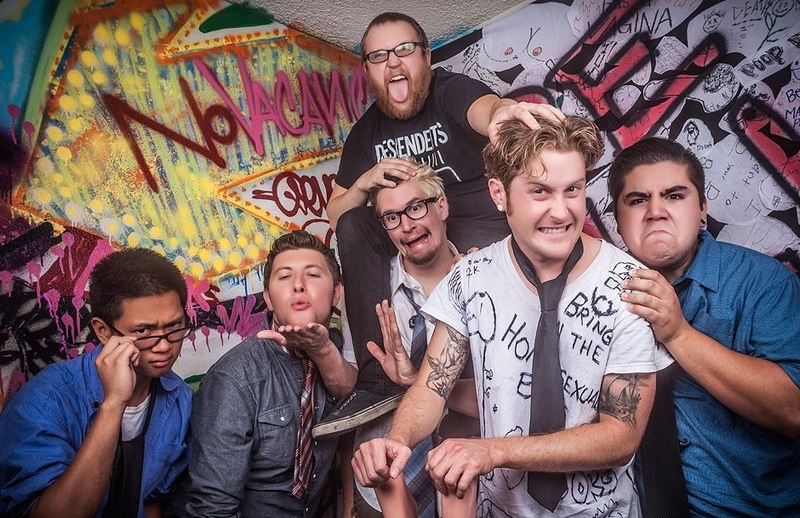 Ska didn’t die with the ’90s—and six bands are aiming to prove that on Wednesday. DiPiazzas will be filled with horns and people skankin’ (which is a form of dancing where people kick up their legs) as bands like Survay Says!, The Last Slice, Be Like Max, The A-OKs, The Skariginals and Isolated Victims play the small capacity venue. “To me, the purpose of the Ska Revival Tour is to reinforce what Survay Says! has been putting into motion in our years of tour; to let people know that there are young, talented bands in this day and age still making this music and trying to get it to people,” Menzel said. He said those who do know about the ska scene are tight-knit within it: if you’re a kid from the ska scene and go to any Streetlight Manifesto, Aquabats or Suburban Legends show by yourself, within minutes you’ll find someone you recognize. And because the music is generally upbeat, it’s not too hard to end up dancing with friends, aquaintances or even strangers. Menzel admits the ska scene is small, but he’s hoping tours like this one will help expand it. But belief alone doesn’t mean the tour has been easy. According to Menzel, it’s been a do-it-yourself endeavor with a side of help from OverEasy Booking. For the most part, the guys have had to choose cities that they felt would accept their sound then book venues in those areas. Other tour problems are aplenty, he said, referring to The Last Slice’s van being broken into in Miami where the band lost most of their personal belongings and gear. 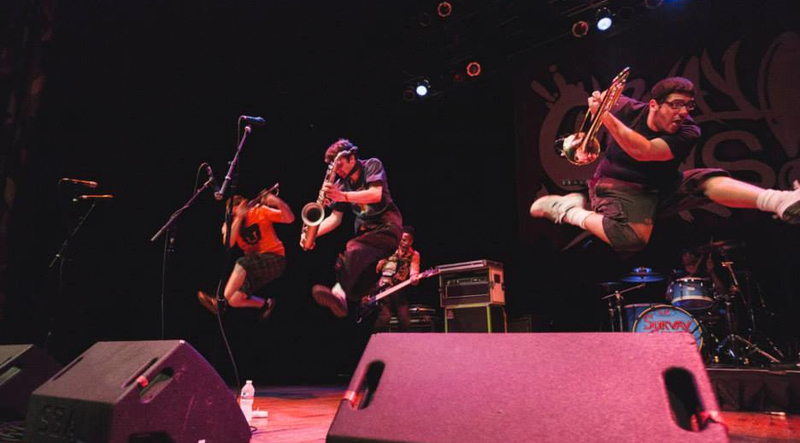 But the commaderie of the ska scene has helped The Last Slice get back on their feet, and the band was able to re-join the tour in Texas over the weekend. Controversy has also surrounded the tour, with a member of a different band, Be Like Max, allegedly making derogatory comments about women and gay people at a past show, leading one fan to take to social media in retaliation. The band then took it one step further and began making more jokes. Charley Fine, vocalist of Be Like Max, has since come out apologizing for the incident and said he hopes it doesn’t affect people going to the tour. Be Like Max. Photo courtesy of the band. The bands of the tour, despite the public outcry, have stood by Be Like Max’s side in these times of controversy. While Menzel remainds concerned how Fine’s remarks will affect the Southern California shows, he maintains that people should still come out to the tour because of all the hard work that is continuously being put into it. Nate Phung, who plays with Isolated Victims and currently attends Cal State Long Beach, said he believes Fine’s remarks shouldn’t affect people coming to Wednesday’s show. The Ska Revival Tour will be coming to DiPiazzas on Wednesday at 7PM. Tickets are $10 at the door. For more information and a complete tour schedule, visit www.facebook.com/skarevivaltour.